When not running off to the nearby towns of Dumaguete City, chasing waterfalls and beaching around, we usually just walk around the streets of the city; checking out its sights, trying local restaurants (and looking for streetfood, if we still haven’t had our fill) and simply shooting the breeze at the boulevard to pass the time. 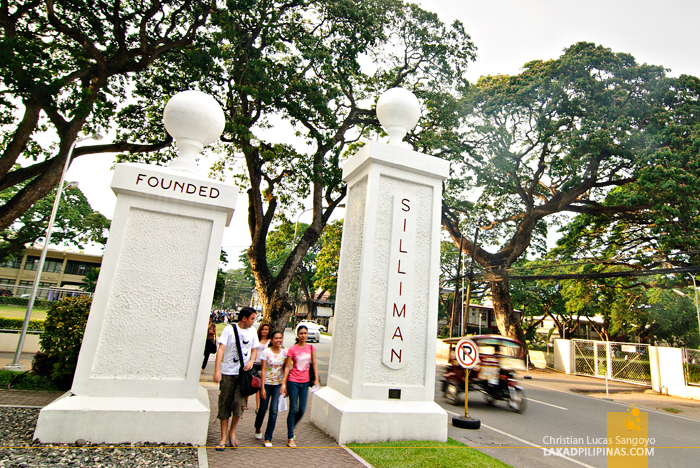 Dumaguete City is considered a university town, being centered at one of the oldest university in the country, Silliman University. Most say that its atmosphere is laid back, but I beg to disagree. The city is bustling with vehicular traffic; one can hardly call it laid back, until I guess one steps inside its quieter tree-lined university. Well there is Rizal Boulevard too, you may argue. Well okay I guess this part of Dumaguete is also laid back. It’s just not a good place to hang out in during midday when the sun is at its harshest. But it’s a perfect place to simply stare at the sea for hours and hours on end during the early morning and late afternoon. 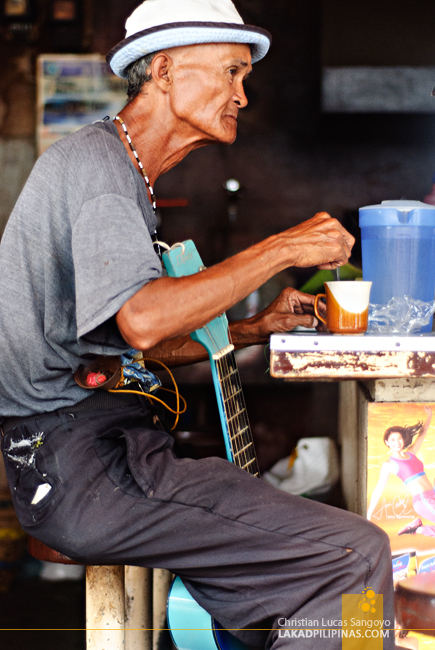 Walk far enough to reach its tail end and you’ll come across the tempurahan where the streetfood action is. Too bad we didn’t get to taste their stuff since we went there too early. Apparently, these guys start their guerilla operations just before it gets dark. Okay, I take that guerilla-bit back, these guys seemed legit with all the orocans and tables set up right along the boulevard. 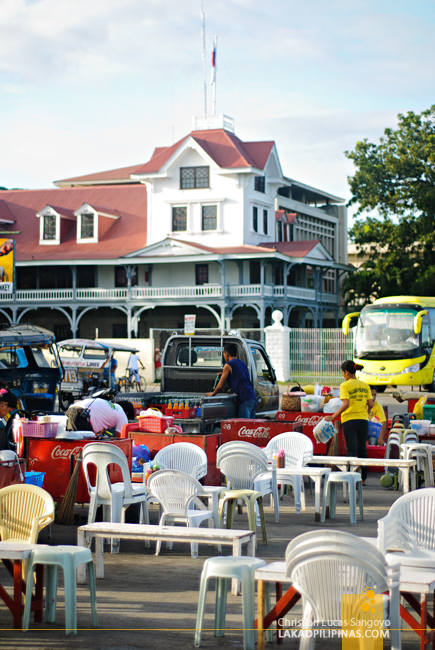 The local market is also a good place to hunt for Dumagueteño delicacies. Their market is surprisingly clean, although you really just cannot get that market smell off the place even with such apparent cleanliness. But even the most hold-your-hanky-tight-to-your-nose inducing odors can’t stop us from entering its alleys. And there we spotted a curous kakanin wrapped in oily banana leaf and stacked on fours like firewood. The locals call it chocolate bud-bod tan jay or simply bud-bod. 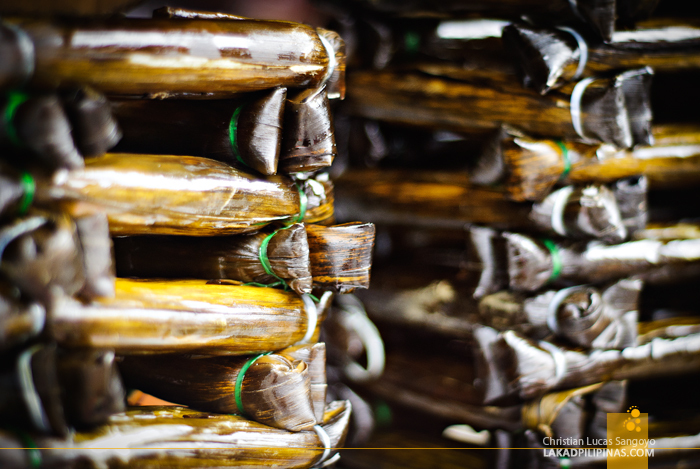 It’s very similar to the much popular suman (or more of a variation of it) but instead of using sticky rice, it’s made from kabog (millet). 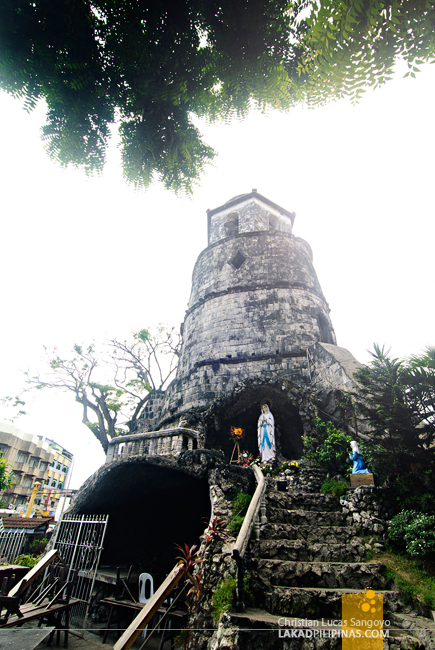 And one cannot visit Dumaguete and not drop by the centuries old Campanario de Dumaguete and the St. Catherine of Alexandria Church a few meters away from it. 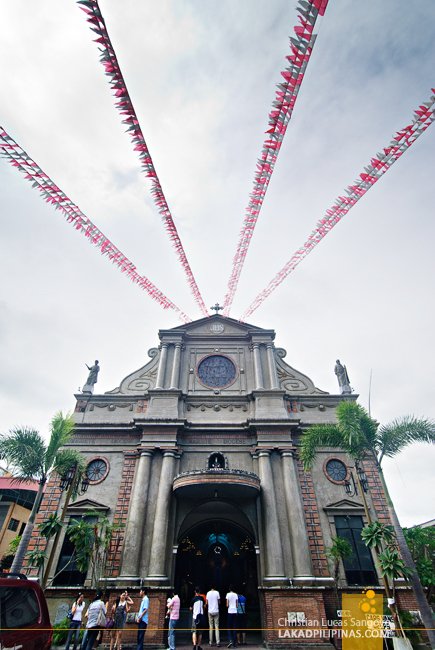 I’ve written about Dumaguete’s belfry and cathedral in detail before, it’s definitely one of the city’s must-see. 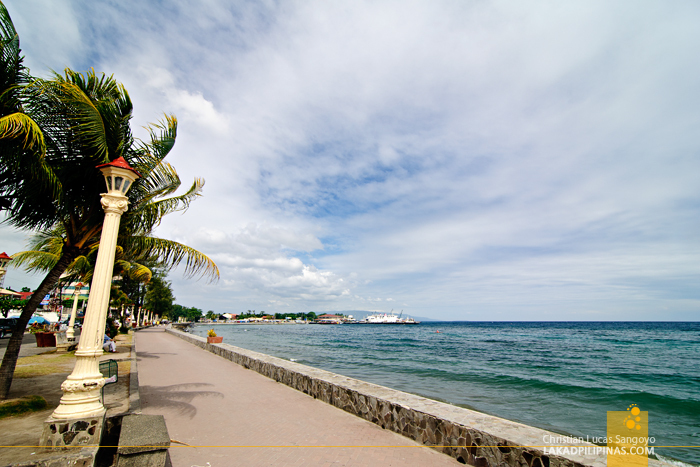 More known as a base point for Apo Island and Siquijor, Dumaguete City is not really recognized as the most touristy city this side of Visayas. But spend a few days along its avenues and you learn to appreciate the little and subtle things it has to offer. GPS Coordinates: 9° 17' 45.73", 123° 16' 53.48"
One of my wish list is to visit Siliman U where I had a pen pal who was a student there when I was also in college in Quezon City. 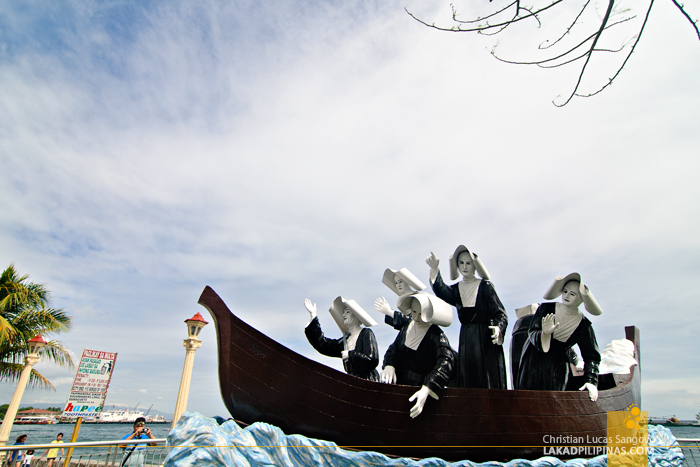 I never got the chance to meet her inspite of her many invitations to visit her at Siliman. I do not know where she is now but Siliman is still there waiting for me.